A COMPANY THAT IS INNOVATIVE, ENGAGED AND RESPECTED. We have deep roots in Bromont, with a legacy of four generations of developers committed to the economic advancement of this municipality. We have made it our mission to create outstanding living environments consistent with a vision of sustainable development. We are driven by the desire to innovate, to dream and to inspire others. Because we deliver on our promises, and demonstrate respect for the community and the environment, we are ourselves respected as a company. When my father, Roland Désourdy, first climbed Mont Brome in 1960, he looked down and pictured a modern town that could become a model of sustainable development, as that term is understood today. 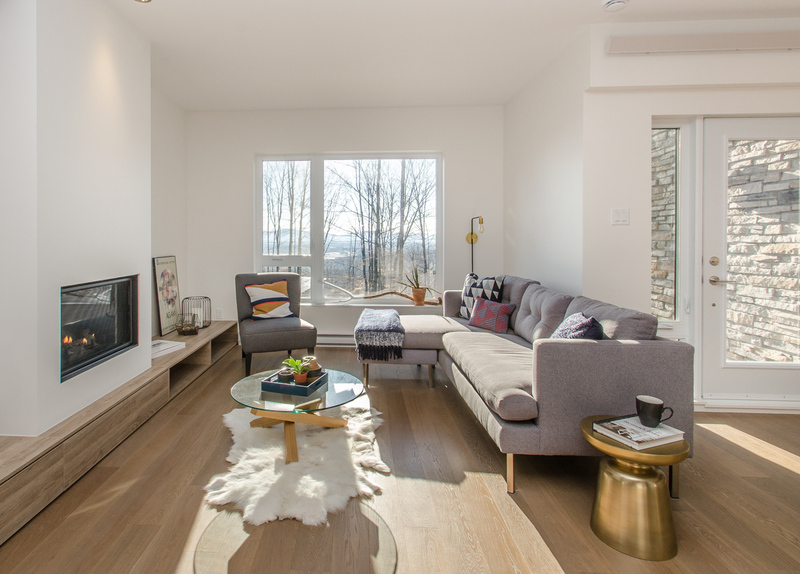 Located less than 60 minutes from Montreal and Sherbrooke, not far from the United States border, this new community would always place people at the heart of its development concept, i.e. the quality of life, work and mobility of the residents. He already had a vision of downhill ski slopes carved on the mountainside, expansive golf courses, an airport and an industrial park that would attract international businesses. My father died in the spring of 2011, but his vision for Ski Bromont and the town of Bromont lives on. His “city of the year 2000”, as he called it, continues to materialize every day with the same commitment to an outstanding quality of life. Today, the entire team of Ski Bromont and Ski Bromont Immobilier is keeping alive this promise to continually innovate and never stand still. Côte Est project was named « Multi-family Residential Development of the Year » and also honoured in the category of « Singlefamily Homes from more than $260,000 to less than $500,000 » for its model home at the Concours Domus awards 2012.